Part of being a good poker player is learning how to make the most money you possibly can out of each and every good hand that you get. It is not enough to just get good hands, you will also need to know how to make money from your good hands. 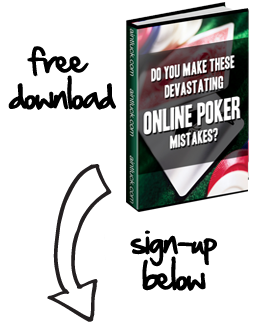 If you are a poker player, you probably use value bets all the time without ever realizing you are doing so. A value bet is one of the most useful bets in every poker game you may play in. It is one of the many ways that you can extract money from your opponents stack. A value bet is a bet that you would make when you are planning to be called. Betting as much money as possible while still getting a call would be a value bet. They are used when you have a good hand that you are sure is a winner. It is one way to maximize your profits, which is very important. Every time you make extra money from a hand, you will be increasing your profits and increasing your hourly wage (if you are a serious player). Either way, everyone plays poker in hopes to come out with a large profit in the end. The best time to make this kind of bet is when you have the best hand. A lot of players want to automatically “slow play” when they have the best hand. Before doing that you should ask yourself a couple of different questions. First of all, what will make you the most money? Sometimes, slow playing a hand is the best way to make the most amount of money. Other times, a value bet is going to make you the most amount of money. A value bet will often end up with an “all-in” towards the end of the hand on the river. At the time of making your first value bet, you may think you want more money in that pot. Remember that it is a process that will lead to more money going into that pot later on in the hand. As long as you believe a value bet will lead to the most amount of money, you are going to want to make that choice. Keep in mind that you will have several chances to make value bets. As you progress through the hand, a proper value bet will continue to get bigger. If the pot has $100 in it and you have a monster, a good value bet would be $25-$40. The reason this would be a good bet is because you are giving your opponent good enough odds to call with a marginal hand or a drawing hand. In the next betting round, that bet would double or triple. Just be sure that you are not making a value bet unless you have a very strong hand. If you are holding a vulnerable hand, you will want to protect it.